People are often surprised that most wines are blends, and even more surprised that even single grape variety bottles are blends from different tanks. In Provence it’s the law of our appellation that wines are blends from the local varieties like Grenache, Syrah, Cinsault and Carignan. A good blend will take the strength and weaknesses of each grape variety and create a balanced whole that will make the wine shine and develop beautifully over time. Our business model consists of working with several really good growers so as to maximise our chances of finding a blend that is typically Mirabeau and that has the aromas and the structure we’re looking for. There is a lot of competition for the best wines so we take really good care of the people we consider at the top of their game and work closely with them throughout the year. This gives us a much larger choice than an average vineyard would have and allows us much more leeway to screen out vintage flaws and to find tanks that really complement each other to make a gorgeous whole. 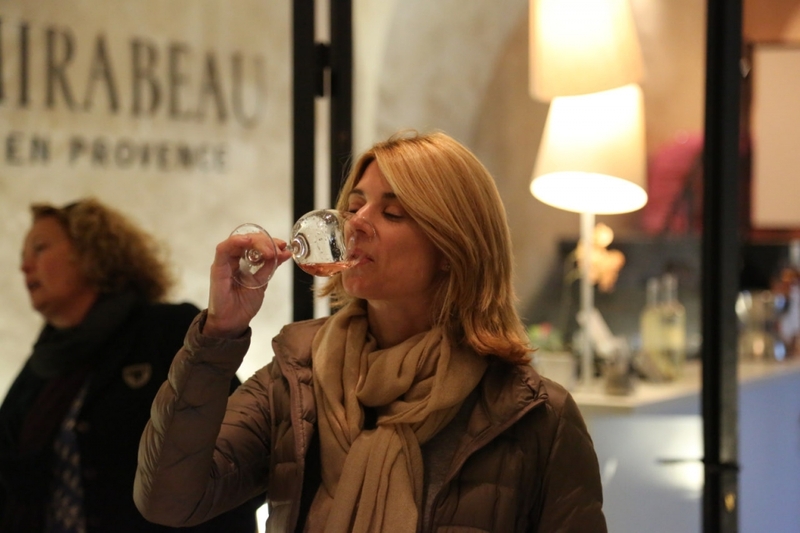 We drove endlessly around Provence and looked at roughly 140 tanks and pre-selected 27 to make our final choices for Mirabeau Classic and Pure Mirabeau. Getting a wine blend just right is a complicated endeavour, which is why you need a blender with lots of experience and a really good palate. And I mean a person who’s studied and worked in wineries for many years and not the kitchen kind. 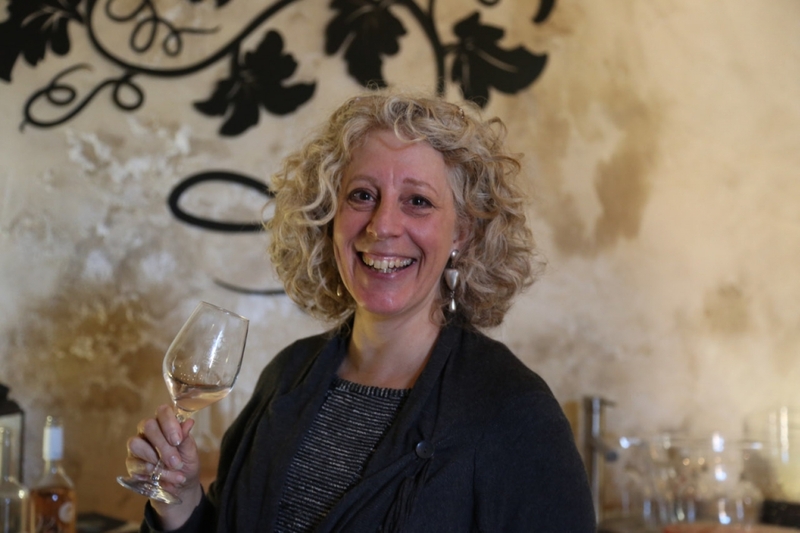 Like a highly accomplished cook they will have to balance the wines on offer to ensure that your wine has structure and that you get a taste experience that has a beginning, mid palate and a pleasant finish. 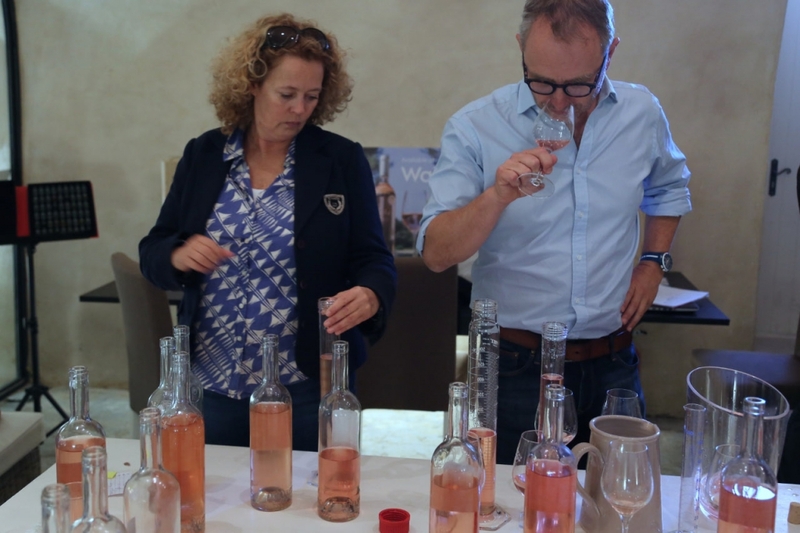 We’ve all experienced a wine that smells great and tastes of nothing, or one that has lots of aromas in the beginning and suddenly they’re gone- so in disappointment you glugg lots more to try and get back some flavour. All of these issues are typical of average blending (or lack of choice of tanks)- a good winemaker would have recognised the good and the lesser aspects in any tank and compensated for each. Some wines have a lot of structure and not many aromas, others have lots of aromas, but are flighty, you can have too much acid as well as too little and most things in-between. 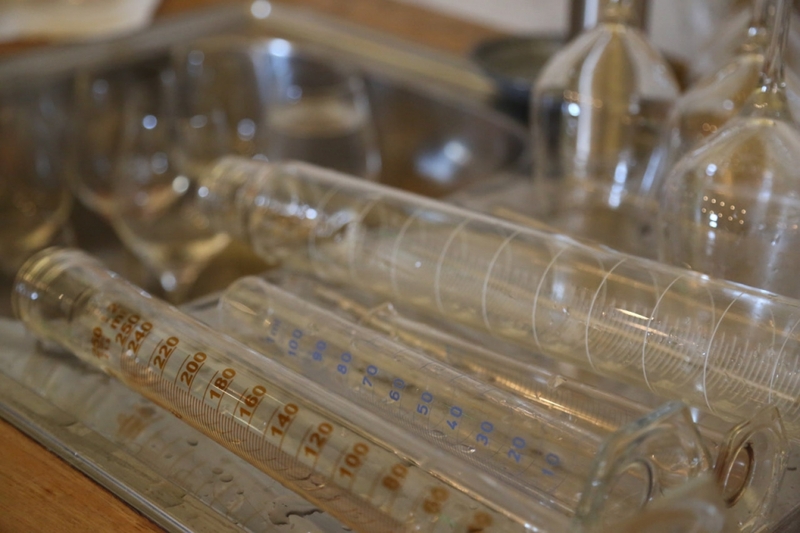 But what’s even more complex and demands a lot of experience is the ability to make an educated guess how the wines that make up the blend will develop over time. Of course we want a wine that tastes good from the beginning but that’s extra delicious when most people actually drink it, which is the following summer. Our two Rosés differ in style. Mirabeau Classic is slightly darker with plenty of red fruit aromas and is an easy transition from the more powerful new world wines. 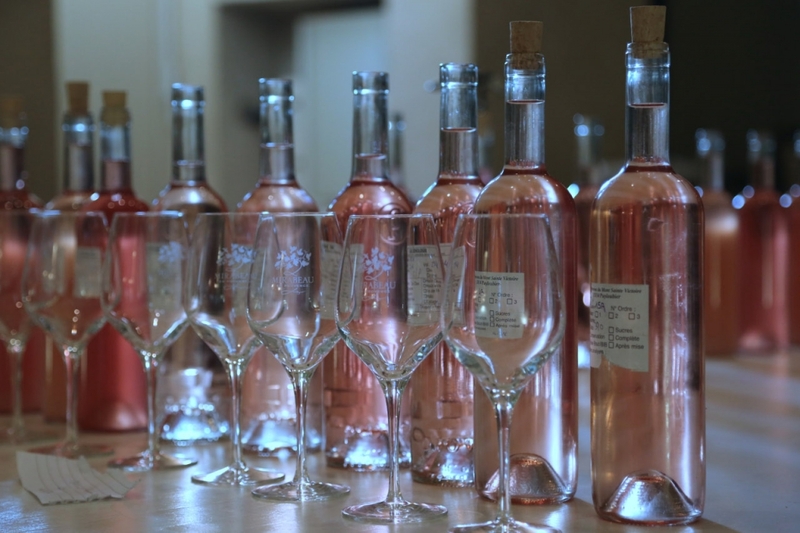 Pure Mirabeau is a very pale, structured blend with more citrus based aromas and an elegant finish. So they demand a skilful hand to blend to get both just right. Jo Ahearne MW our blender in chief and our local oeonologue Nathalie Longefay work together exchanging views as they go along, I watch and validate along the way and approve the final blend. 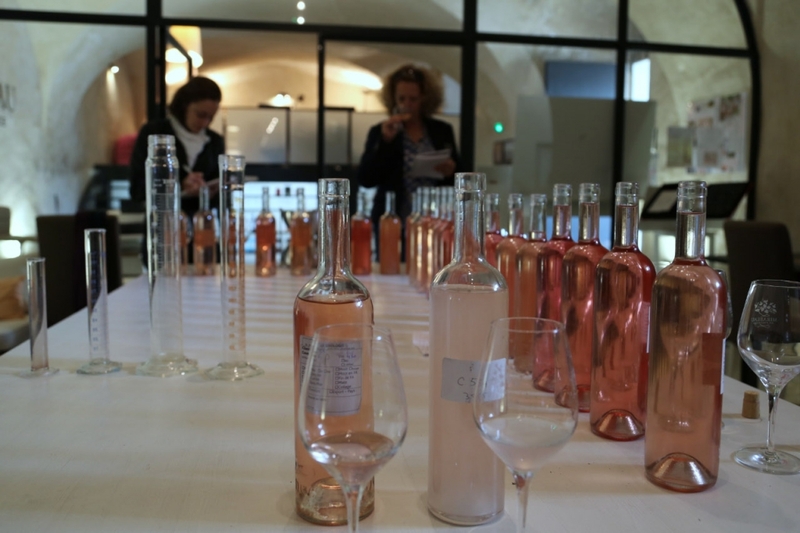 We’re lucky to be able to call on such an accomplished team and we know that our investment in some of the best people in the field have paid off year after year with Mirabeau being consistently classed as one of the best Rosés from Provence. Now the proof is in the pudding, but we are quietly confident that our 2015 offering will be beautiful, in it’s unique way for this vintage, but with elements that you will recognise as typically Mirabeau. Mirabeau 2017- a rocky ride with a happy ending! Provence Pink + Sparkles = C’est La Folie!